New Directions Publishing Corporation, 9780811218900, 192pp. 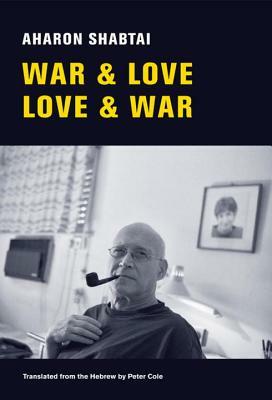 War & Love, Love & War presents a poetic biography of one of Israel's living literary masters, an artist whom the National Book Award-winner C. K. Williams has called "one of the most exciting poets writing anywhere, and certainly the most audacious." The book moves from shockingly potent political poems to love lyrics that are as explosive and sometimes bawdy as they are tender; from early and stirring inventories of kibbutz life to a radically inventive midrash on (and paean to) the career and character of the Israeli right-wing leader Menachem Begin; from passion for justice to passion for a deeply mourned wife. At the end of it all is a prose ars poetica in which Shabtai discusses the method behind his marvelous madness. Peter Cole's powerful translation displays the full and astonishing range of Aharon Shabtai's oeuvre in a single volume for the first time in English.